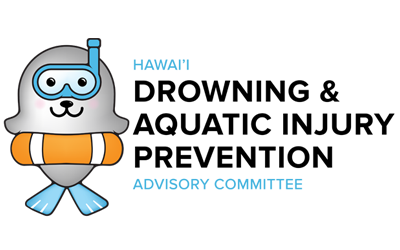 Although Hawaii’s coastal ocean temperature stays relatively consistent throughout the year, ocean conditions can change drastically depending on the season. Seasons also affect various facing shores in different ways. Some beaches can be calm and gentle during the summer, but rough and dangerous in the winter. Being aware of seasonal patterns can help you make a better plan for picking a beach. 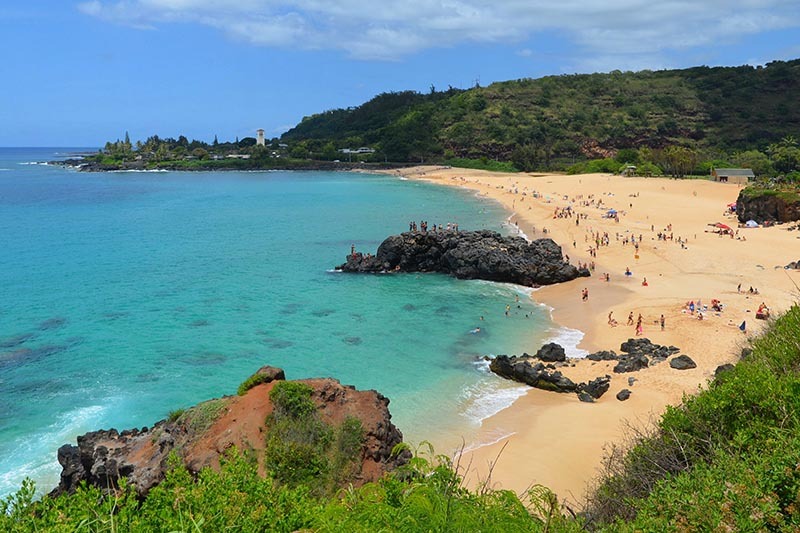 In the summer, calmer, clear conditions are frequent at Waimea Bay on the North Shore of Oahu. But in winter, this same beach is consistently pummeled by high surf and powerful shorebreak. 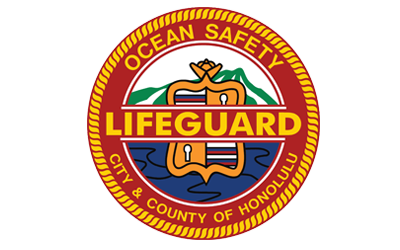 Wave conditions are localized, so if a beach seems too dangerous for your skill level, you can often find calmer conditions at another beach in a different part of the island. Summer typically means calmer waters on all beaches. 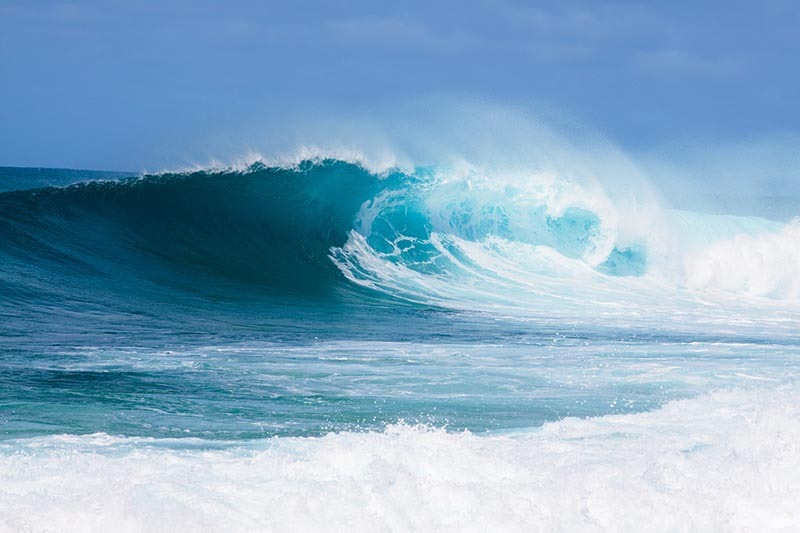 Larger swells can happen on south shores, generated by winter storms in the southern hemisphere. Trade winds coming from the northeast can also increase surf for north and east facing shores. North Shores: Flat-to-small waves, areas exposed to trade winds can see larger swells. 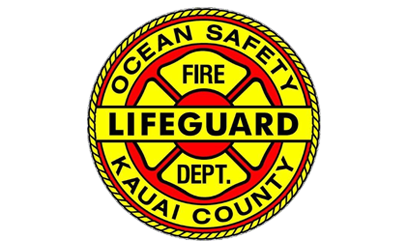 East Shores: Strong trade winds can create large, rough waves. 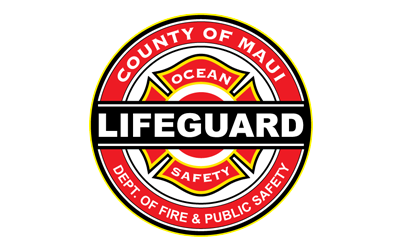 South Shores: Large swells can arrive frequently. East Shores: Swells from the north can wrap around to create high surf. During winter, you can expect extremely high surf at many north and west shore beaches. Powerful Pacific storms to the north drive huge swells towards the islands, creating the big waves Hawaii is known for. 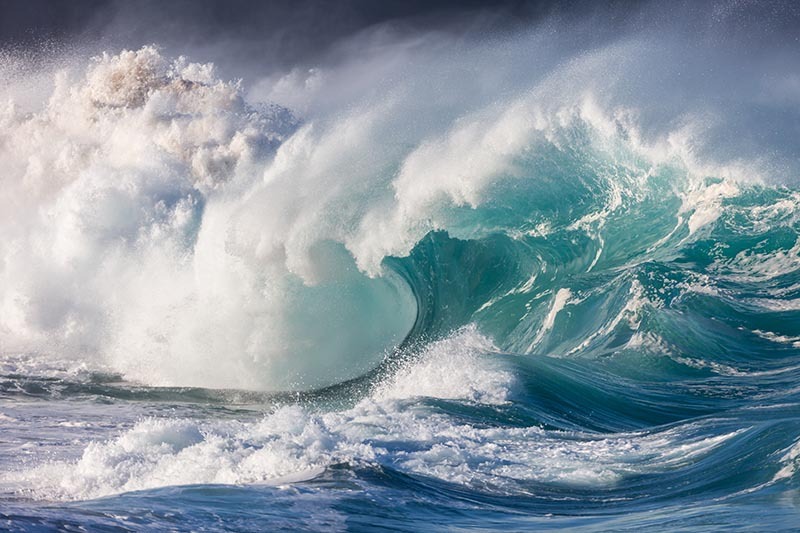 Waves generated from these storms can create dangerous and unpredictable conditions. North Shores: Consistent huge and dangerous swells. 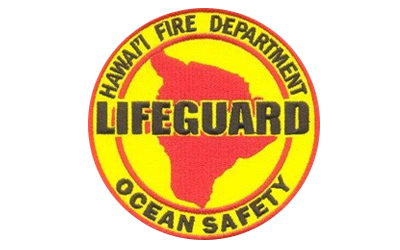 Inexperienced/novice surfers and swimmers of any skill level should avoid entering the water at these beaches during high-surf conditions. West Shores: Swells from the north can wrap around to create high surf.